Our people make the difference. The family business that started in 1993 has developed into a premier supplier of niche electrical engineering and contracting services in the industrial, commercial, mining and utilities sectors. What makes us different is the quality of the people looking after our customers. 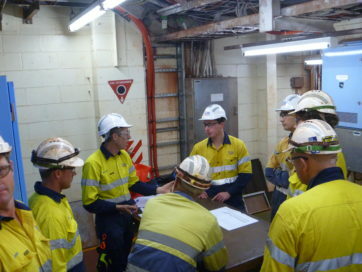 Our high calibre of staff can reduce downtime and find efficiencies, all while maintaining our exemplary safety record. Many of our technicians are dual trade electricians with additional specialties in fields such as fibre-optics, HV jointing, hazardous area work, electronics, welding, HVAC and communications. Our support for personal and professional development ensures that our staff are committed and up to date with industry best practice and technologies.